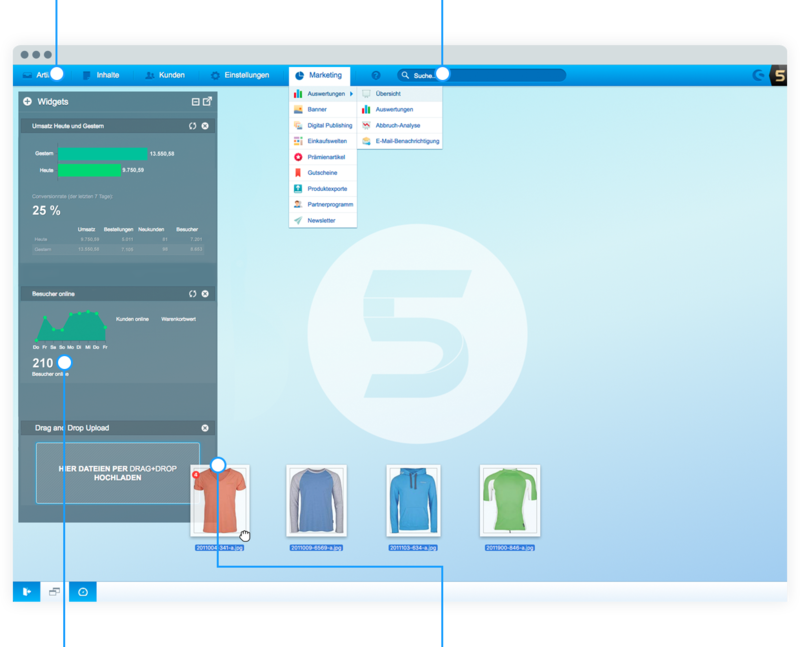 Shopware 5 has a streamlined and approachable look due to its minimalist, flat design. Despite the experience level, users will find accessing and working with essential elements in the backend both intuitive and enjoyable. To make information as clear as possible, elements are displayed only when they are being used. To provide a consistent design language, we have implemented a very natural, organic look and feel to every animation and smallest element detail. We have truly taken “form follows function” to heart when designing this highly usable and sleek interface. 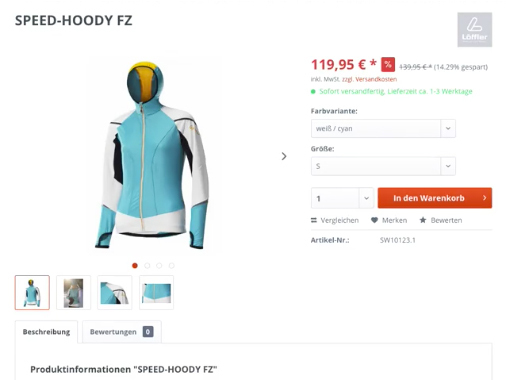 Thanks to an open template basis, Shopware is completely customizable. Many adjustments can be easily implemented in the standard Shopware backend. 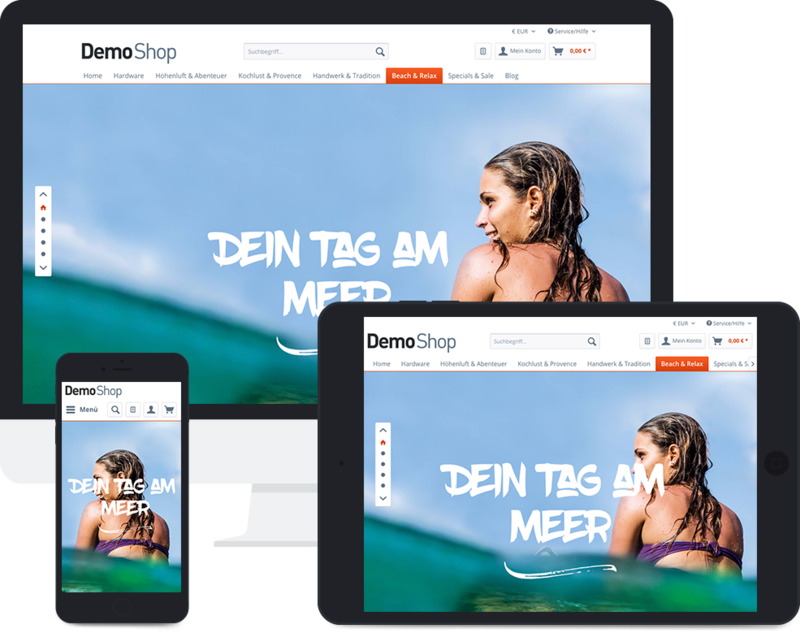 A standard feature of Shopware, every detail of our responsive design has been carefully considered in order to provide a uniform experience across every available device. We brought in a team of experts to perform thorough usability tests. Our optimized checkout process is proven to increase conversion rates for the long term. 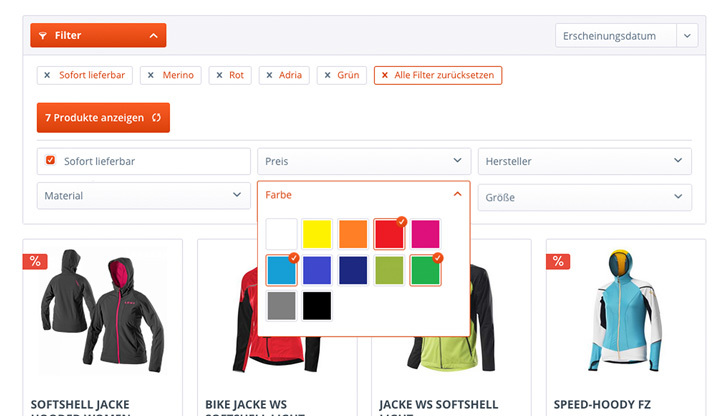 In the frontend, your customers can filter item properties by color, material, manufacturer, shipping cost, shopping method, price or review. Multiple filters can be used simultaneously. 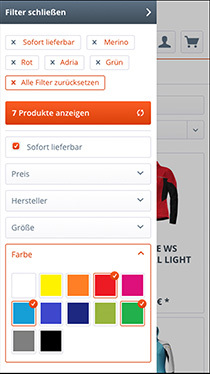 Unbeatable clarity of overview and usability also apply to mobile shopping. 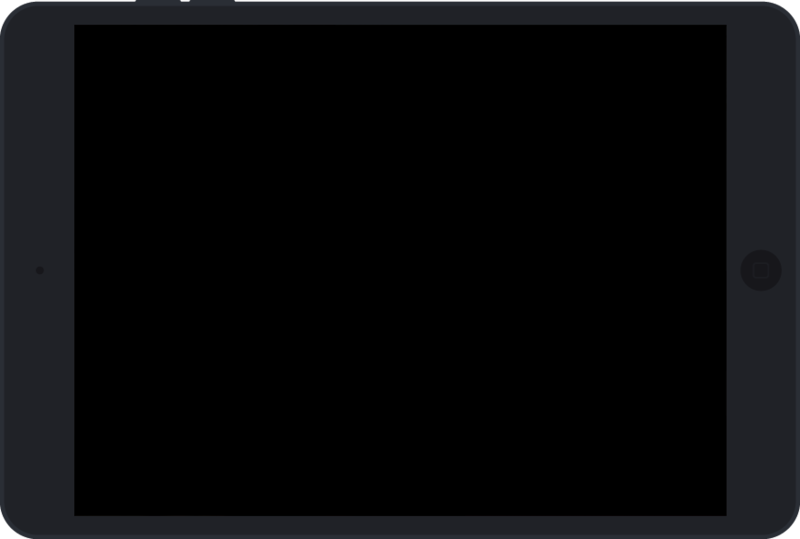 Filters can be collapsed or expanded in an off canvas menu. This paves the way for convenience and comfort while navigating large product selections. We invested a great deal time and dedication in order to offer seamless usability on every device. 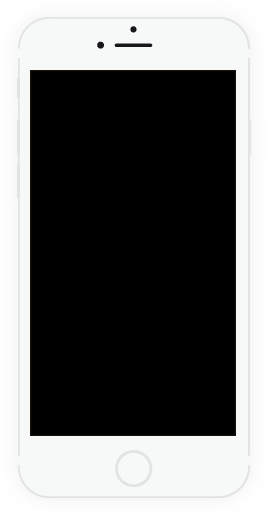 Off canvas menus and touch controls, such as finger-friendly buttons, pinch-to-zoom galleries or sliders with momentum scrolling, provide the perfect mobile shopping experience. We wanted Shopware to be enjoyable and approachable not only for online customers, but also for the merchants who use the software daily. The result is one of the most intuitive administrative interfaces one could imagine. The Shopware backend is compatible with any browser and operating system for on-the-go use. You do not have to readjust to a new system, as Shopware offers familiar features such as drag & drop, double click and more. Thanks to several windows, you always have an organised and clear overview of all information relevant to your business. With the time and money you save from the clarity of the Shopware administration, you can focus on other core aspects of your business. In the backend, not only are your features and data conveniently contained within one view, but also opened and collapsed with only a click. Shopware analyses your data, such as amount of visitors and conversion rate, so that you can optimise the performance of your shop. Click, drag, release, done - import all essential data and statistics with the simplicity of drag & drop.